We turn our attention to Chris Christie, who, in truth, is my kind of Republican. But nobody’s perfect. Back in 2012, he repeated a familiar refrain in the GOP, although he stated it more forcibly than some. 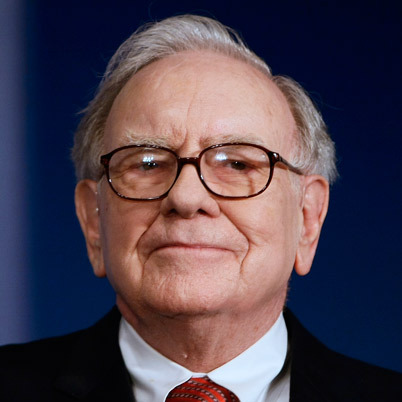 In response to Warren Buffett’s revelation that he pays a lower tax rate than his secretary, Christie said that Buffett should “just write a check and shut up.” That is, if Buffett wants to pay more taxes, he can. What Christie resents is that Warren Buffett wants to force others to pay more taxes to support his favorite programs. Liberals, it has been said, are generous with other peoples’ money, except when it comes to questions of national survival when they prefer to be generous with other people’s freedom and security. Liberals, including thisweekinstupid, disagree. Once again, an ignorance or underestimation of a basic market failure causes us to talk past one another. Government agencies, including the Department of the Interior, NOAA, the FAA, the CDC, and the SEC, produce what are called “public goods”–goods that you don’t have to own to enjoy. A more thorough discussion of public goods (now featuring math!) is in our first ever thisweekinstupid appendix. In brief, Investopedia defines a public good as a product or service that one individual can consume without reducing its availability to another individual and from which no one is excluded.… National defense, sewer systems, public parks and basic television and radio broadcasts could all be considered public goods. Left to the free market, public goods will be under-produced. That is, the dollars I voluntarily spend on public goods return a benefit spread over a large group, so, I tend to lean toward spending on private goods, the benefit of which I can secure to myself. This is rational and efficient on a personal level, but irrational and inefficient on a societal level. This is known as the “free riders” problem. Imagine five homes in a cul-de-sac. Each of the homes is for rent by a different landlord. A local landlord’s association reports that a $30 per month lawn service increases the rental value of a property by, on average, $40. Further, $100 worth of landscaping of a median in the middle of the cul-de-sac increases the rent for each of the houses by the same $40. A house with a lawn service and a landscaped median can get $55 more than without any landscaping at all. What should I as a landlord, do? Considering only myself, a lawn service for my own lawn is a good deal, so I sign up. But, if I can get everyone to chip in, landscaping the median is even better. If everyone contributes, we can get the same benefit for only $20 each. Imagine a few of us try to pull the money together for a landscaped median. But, as good libertarians, we’re not going to compel anyone to contribute. Unfortunately, one owner sees the opportunity for a free ride. If she pays only for her own lawn and the rest of us pay for the median, she can make $55 more in rent for only $30 in lawn care. The rest of us are left with a choice. Pay $25 each to landscape the median, or pay $30 to landscape our own yards. The median is still a better deal, but less so than if we had enforced a contribution, for example through home owner’s association dues. Public goods work the same way in a larger community. In the absence of public funding for arts, parks, public highways, defense, etc. the temptation to free-ride causes us to spend less than is most efficient. Failing to properly value public goods and take steps to produce them, wastes resources. Where public goods are concerned, government spending via taxation can lead to more wealth, efficiency and happiness (more in the appendix). they undervalue the things a healthy ecosystem provides. I find that it’s often a combination of these. Climate change skeptics often don’t think carbon emissions cause warming to a great extent, but even if it did, they don’t think warming is so bad. Connecting it to the lawn care analogy, some owners might doubt that tenants care about a landscaped median. Or they might not trust the community to choose the right landscaper and deliver the promised value. Any one of these factors may cause them to undervalue the public good and reject the cooperative solution. And so it goes with taxation. Compared with me, Chris Christie underestimates our connectedness. I believe that undereducated or unhealthy children and impoverished families cause great harm to us all and so education, public health care and anti-poverty programs are a public good of great value. Further, I believe we’re economically connected enough that the presence of a public safety net is a great economic benefit to the whole country, and especially to the people with assets to lose. If we removed the public safety net, some of us would put money in the collection plate to cover rent and medical care for the poor, but to get really rich, a better strategy would be to keep your money, buy cheap apartments and rent them to the poor, collecting the charity they’re given by everyone else. Free riders win again. 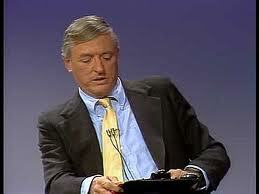 The other half of William Buckley’s statement concerns the military, which is also a public good. You can’t let someone opt out of funding the military because protecting every third house from the Red Dawn is just as expensive as protecting the whole country. Opters-out become free riders. But, in the case of defense spending, Republicans simply value that public good higher than I do. I think our military is big and strong enough to defend our country from any (terrestrial) enemy several times over. I regard the marginal benefit of an additional dollar in the defense budget to be zero (possibly less). So, I’m quite tired of Chris Christie and William Buckley and their set being quite so generous with my money toward military contractors. Armed with an understanding of public goods and free riders, liberals are not naive enough to remove public services, cut taxes, and wait for libertarians to plow their tax savings into private programs to keep the water clean, track diseases, make sure the planes don’t crash, get the mentally ill off of the street, monitor trading of securities and pay the rent and medical bills of the elderly poor. On the contrary, sensible economic thinking says the market will be far too profligate with other people’s health, air quality and safety. Instead, I propose the libertarians go first. As soon as there’s a private program tracking the evolution of new diseases, we can defund the CDC. When private charity clinics provide the medical care for all the poor, there’ll be no need for Medicaid. And the great thing about some of these programs is that no one need “go first.” Shriners Hospital provides all kinds of free medical care to children. Every surgery in a Shriners Hospital is one that doesn’t have to be done elsewhere. If the child being treated is covered by Medicaid, that’s savings and deficit reduction right there. In a very organic way, private charities could take over for public services. As I’ve detailed above, I have my own reasons for believing it wouldn’t happen that way, but I’d love to be proven wrong. And this is certainly no less reasonable than the opposite proposition–defunding these programs without a viable replacement and blithely hoping one will appear. Next article That's Reverse Discrimination!